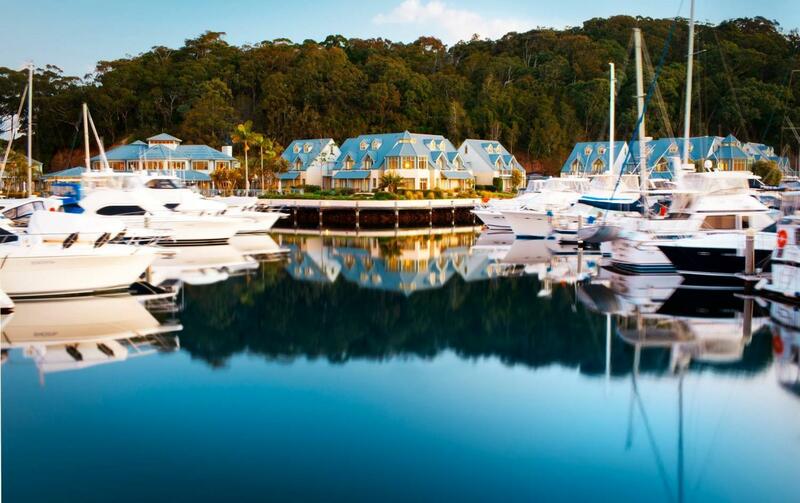 يقع فندق Anchorage Port Stephens في منطقة تتمتع بمعالم كثيرة، وتعتبر المكان الأنسب لاكتشاف هذه المدينة رائعة الجمال و ما يحيطها. يقع مركز المدينة المثير على بعد 8 km فقط. يضفي محيط الفندق اللطيف وقربه من أكثر المعالم السياحية جذبًا سحرًا خاصًا على هذا الفندق. يقدم Anchorage Port Stephens خدمات لا غبار عليها وكل أشكال اللياقة وحسن الضيافة اللازمة لإسعاد ضيوفه. إن واي فاي مجاني في جميع الغرف, خدمة التنظيف يوميًا, مدفأة, تسجيل وصول/تسجيل خروج خاص, مجهز لذوي الإحتياجات الخاصة هي جزء فقط من الخدمات التي تميز Anchorage Port Stephens عن باقي الفنادق في المدينة. لقد جهزت هذه الإقامة الفندقية بعناية فائقة لتوفر مستوى عالي من الراحة. في بعض الغرف يجد النزيل تلفزيون بشاشة مسطحة, غرف لغير المدخنين, مكيف هواء, تدفئة, خدمة الإيقاظ. يقدم الفندق العديد من الفرص للاستجمام كمثل مركز للياقة البدنية, ساونا, مسار جولف - ضمن 3 كم, حمام سباحة خارجي, غوص. 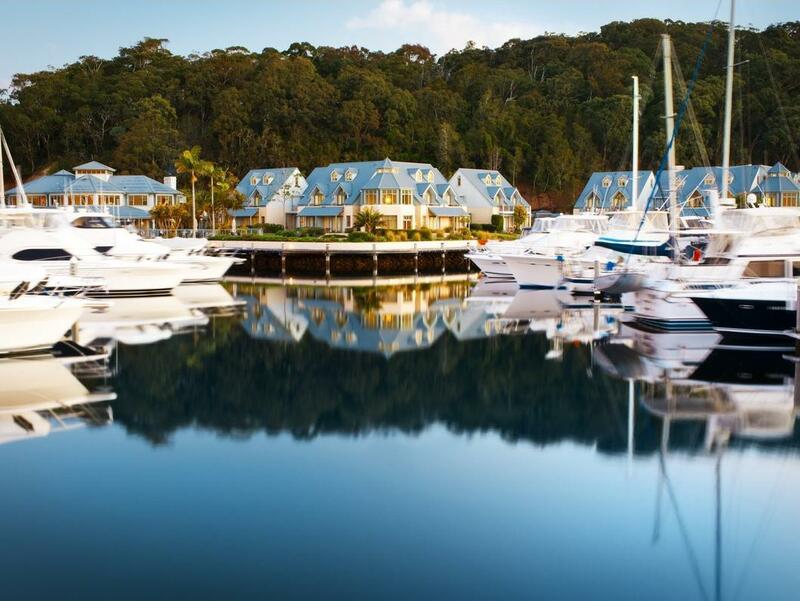 اكتشف مزيجاً ساحراً من الخدمة الاحترافية والخيارات الواسعة من وسائل الراحة والمتعة في Anchorage Port Stephens. The place is very nice and clean with oceanic scenery. We were truly impressed with the hotel services and fine dine cuisine. With the special help from front desk assistant, Lindsay who had rescheduled our reservation for dolphin cruise enabling us to board on a last minute alternative vessel without extra charges. We will definetely return to Anchorage Port Stephens when our next visit to Newcastle. For a hotel that boasts such lovely views, has such attentive staff and is so quiet we felt that this was really great value for money. We also had to bring our young son along at the last minute and the staff were really accommodating. The meal at the restaurant was really nice and there were fantastic options at breakfast including a gluten free range of cereal and soy milk (which is something that our gluten and dairy free family were really pleased about). The rooms were quiet and comfortable with a really nice selection of shampoos etc. And there is nothing like waking up to a view of the water. There was also a playground near our room at the far end of the resort which provided our son with entertainment. All up I would really recommend this resort. We are local to the area so explored nelson bay and shoal bay etc with snorkelling and swimming. Did not use facilities too much and preferred to eat external to the resort. We found price of food to be expensive, particularly breakfast. 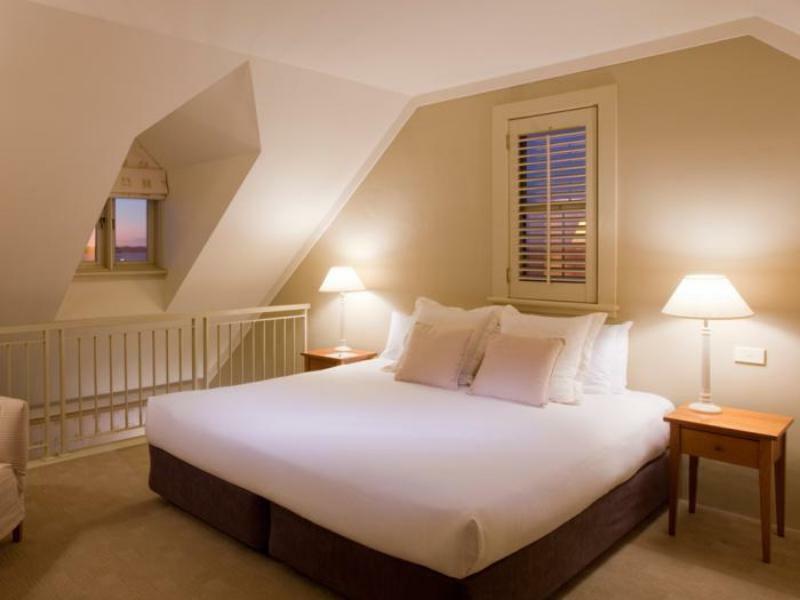 The Anchorage has a very high standard in all aspects of its accommodation. Staff are extremely well trained, courteous and accessible. The rooms have been renovated to a good level of comfort and the restaurant has a consistently high standard of fine dining. excellent location & views, breakfast included is a great bonus, especially it's nice food! friendly staff, clean room. a few downsides are, no lift for my pram to go upstairs, so next time should arrange ground level rooms. and the mattress is abit soft for us.. other than these small things, we had a wonderful stay! definitely will be back again, and recommended to friends. Looking for a place in Port Stephens where 3 generations of our family could meet up and relax together during the Christmas-New Year period, I found The Anchorage on the internet and it looked like the ideal answer: no-one would have to cook (the breakfast, which was included, was wonderful) and we could all enjoy being near the water in a beautiful location. I booked 3 rooms which were quite spacious and located side by side. The pool and nearby playground entertained the 3 pre-schoolers, and several of the adults were able to indulge in a very good massage and spa treatment. All of us had a wonderful time there. Location, Friendly & helpful staff, Large rooms. Perfect. Wish we could have stayed longer. This is the third time we have stayed at the ANCHORAGE, have had no issues at all. Will be a great facility once the upgrades / renovations are completed. Keep up the good work. we had 2 rooms, the rooms were brilliant, but we were disappointed the suna and spar wasnt open and we werent told that when we booked and we were really looking forward to it and even bought new swimmer to use in the suna and spar.I feel we should have been told when we booked other wise we might have stayed somewhere else. but having said that the hotel we perfect. very impressed. Relaxing,only left the resort once.Breakfast was excellent,wide variety of food available.Would have been good to have stayed in a renovated room,but no complaints about the room we were assigned.Staff friendly and obliging,certainly knew their product.Would certainly recommend the resort.Looking forward to a return stay. It was a really nice way to relax and enjoy local food at two local restaurants. We would have dined at The Anchorage but felt the prices were too expensive in the main restaurant. The breakfast was nice, but there needs to be more variety ie smoked salmon or fish, no a great deal of vegetarian options. Count us in as return guests in the future, the refurbishments are looking fantastic. We had a great time, food wonderful, staff friendly and very helpful, rooms are great after a recent refresh, bed wasn't a 10 out of 10 but still comfy and plenty of space in the rooms was great for our little toddler. Cost of Wifi would prohibit me recommending this for business and conference facilities. Excessive to pay $30 for Wifi!! Apart from this I felt the entire experience was faultless a bit messy at checkout as their system meant I needed to remember what I had taken from the minibar the night before however was nice and quick apart from that. I can't wait to go back to The Anchorage. It's exactly the quick getaway we needed and the room was fantastic. Love the toiletries and every detail. Do yourselves a favour and book your stay here. We spent one night at The Anchorage and were so impressed with the room, restaurants, pools and location. Will definitely be back soon. Great hotel with awesome staff. The view was great as was the room. It would have been nice to stay longer.